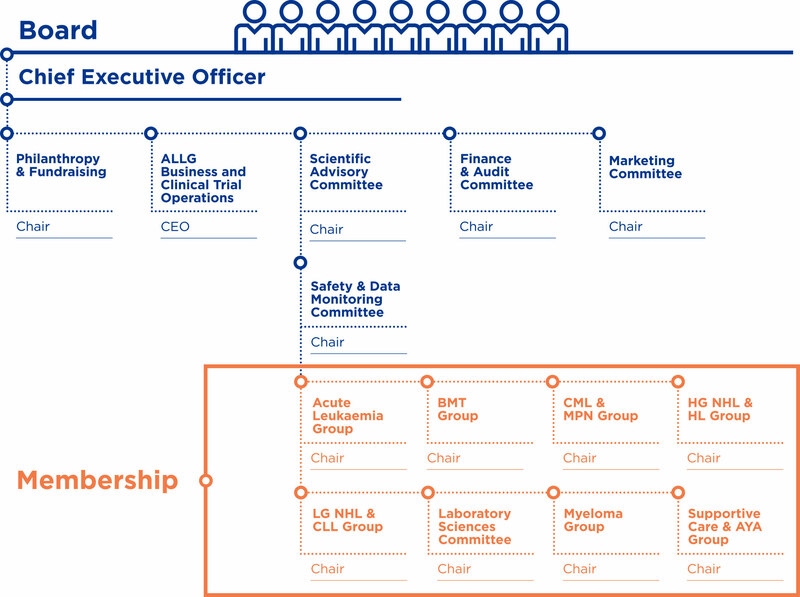 Global leader, having a global impact by delivering robust services and innovative outcomes to improve the treatments and lives of blood cancer patients. To improve the treatment and the lives of patients with leukaemia, lymphoma and other haematological malignancies by advancing ‘leading edge’ clinical trials in Australasia, and to be regarded by the local and international community as the peak research body for these diseases within our geographical areas of operation and influence. ALLG’s core values are quality, integrity, collaboration and innovation. "30 years ago the idea that leukaemia could be cured would have been considered fanciful. Now several types of leukaemia can indeed be cured and helpful treatment is available for almost all types. This remarkable transformation has come about largely because of studies carried out by clinical scientists throughout the world."